A SpaceX Falcon 9 rocket fired up atop the company’s Cape Canaveral Air Force Station launch pad on Wednesday for the customary static fire test ahead of entering final preparations for liftoff as early as Monday with NASA’s TESS exoplanet hunter, to be dispatched on a mission to collect an all-sky survey of planets orbiting stars in Earth’s astronomical neighborhood. Tasked with a survey of 85% of the sky, TESS is expected to detect and characterize in excess of 10,000 new exoplanets including a rather large sample of around 500 Earth-sized and Super Earth planets including some in the habitable zones around their host stars. Capable of delivering a detailed inventory of potentially habitable exoplanets, TESS is considered a critical precursor to NASA’s James Webb Space Telescope that will be tasked with detailed characterization of potentially habitable worlds far from Earth. Wednesday’s Static Fire Test involved a brand-new Falcon 9 rocket, almost a rarity these days as SpaceX flew four out of the company’s six Falcon 9 missions in 2018 with used hardware. TESS, classed as a “medium-risk” mission by NASA’s Launch Services Program, has been contracted to fly on a new vehicle and will employ Falcon 9 Booster 1045, the final new Block 4 vehicle to take to the skies before SpaceX will debut its finalized version of Falcon 9 known as Block 5. The two-stage Falcon 9 – still missing its payload – was raised to its vertical launch position atop the SLC-40 launch pad by Wednesday morning, local time, just nine days after a flight-proven Falcon 9 vacated the pad when lifting the 14th operational Dragon resupply mission into orbit. Poised for a brief firing of its engines, Falcon 9 went through a complete tanking sequence to put both stages through a complete propellant loading, thermal and pressurization cycle in an end-to-end exercise of all systems on the vehicle and ground side. Ignition of the nine Merlin 1D engines of the first stage occurred around 2:40 p.m. local time, 18:40 UTC – several hours into the day’s test window. 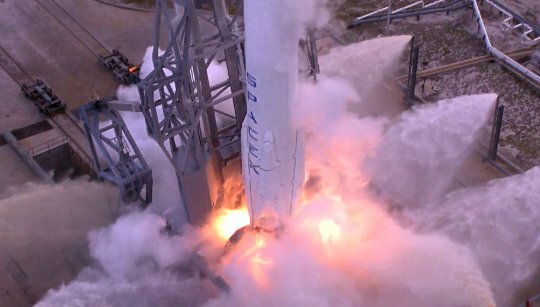 Visually, the burn appeared to meet its planned 3.5-second duration and SpaceX confirmed via Twitter that the Static Fire Test was a success – meaning the firing ran its desired duration and all data required for in-depth reviews was acquired. As part of its next steps, Falcon 9 was to be de-tanked and moved back into the pad-side hangar to receive its payload in the coming days to set up for liftoff on Monday – pending clearance of final reviews including analysis of performance data from Wednesday’s engine firing. The $243 million TESS mission is targeting liftoff during a minute-long launch window at 22:32 UTC on Monday, April 16 – essentially giving the mission an instantaneous shot at leaving the ground due to Falcon 9’s complex countdown sequence. Around ten consecutive launch opportunities are available for TESS before the alignment between Cape Canaveral and the target lunar flyby would require a multi-day stand-down before the next window would open. From its Atlantic-side launch pad, Falcon 9 will be headed due east to send TESS on its way via a two-burn mission, initially taking the craft into a preliminary Parking Orbit before the MVac-powered second stage re-starts within visibility of ground stations in Africa to boost the spacecraft into its highly elliptical target orbit. Documentation indicates this mission will employ a first stage recovery via SpaceX’s East Coast Drone Ship “Of Course I Still Love You” stationed around 300 Kilometers downrange from the launch pad. 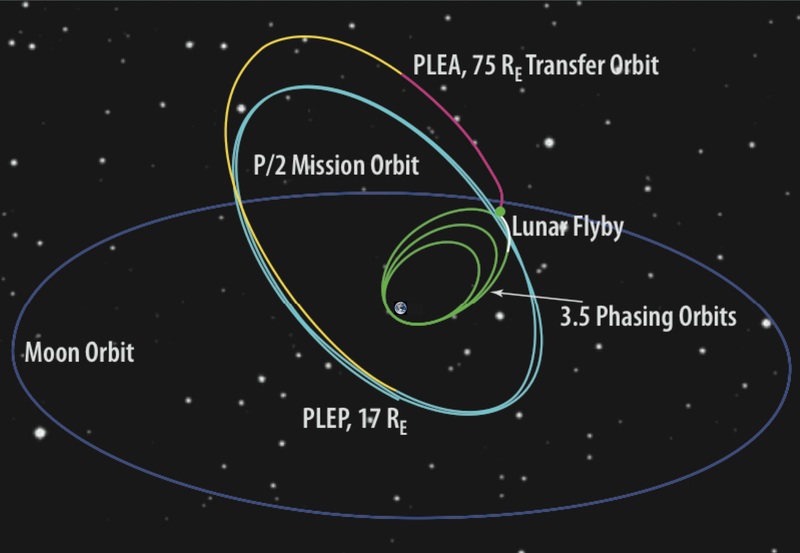 Starting out in an orbit of 200 by 270,000 Kilometers, 28.5 degrees, TESS will be tasked with a series of engine burns over the course of three and a half orbits to intercept its lunar flyby window. This will be followed by another set of engine burns to reach an operational orbit of 107,000 by 376,000 Kilometers, inclined 37 degrees. 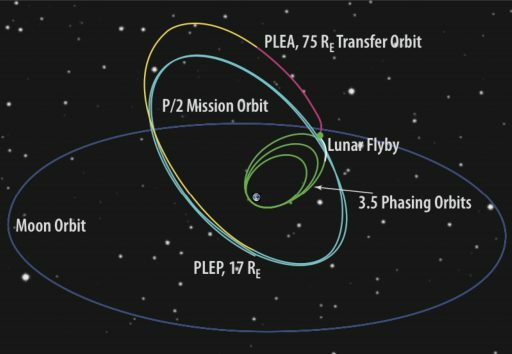 This way, TESS will make two orbits for every one orbit of the Moon in order to have the lunar gravity ‘pull’ from either side for exactly half the time and so cancel out a potentially perturbing effect of the Moon. 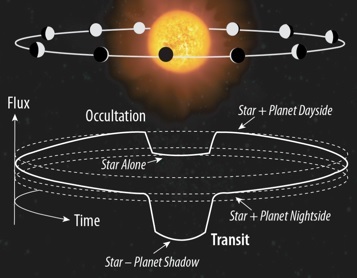 The 13.65-day period of the craft’s orbit will permit very long observation arcs, as required for detecting exoplanets through the transit method: carefully tracking the light curves of thousands of target stars to identify characteristic dips in brightness when an exoplanet crosses before the star. 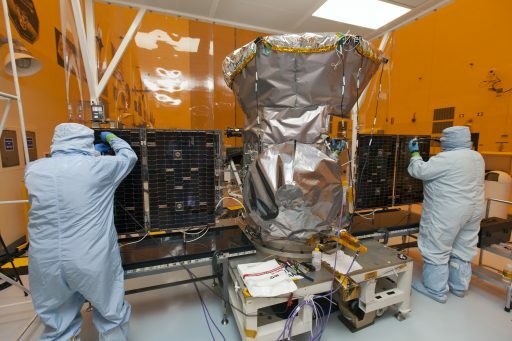 The TESS Project started out as a concept study at MIT in 2006 and an initial mission proposal was submitted in 2008 as a follow-on program to NASA’s Kepler exoplanet mission. NASA selected the mission in 2013 after the proposal was re-submitted under the agency’s Explorers Program. 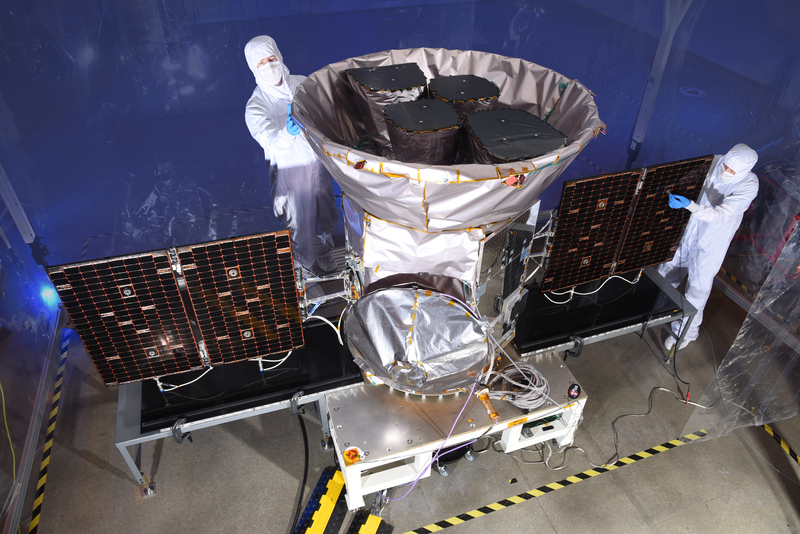 Built by Orbital ATK based on the well-proven LEOStar-2 platform, TESS weighs in at 362 Kilograms and hosts four identical CCD imaging instruments built by MIT Lincoln Lab. 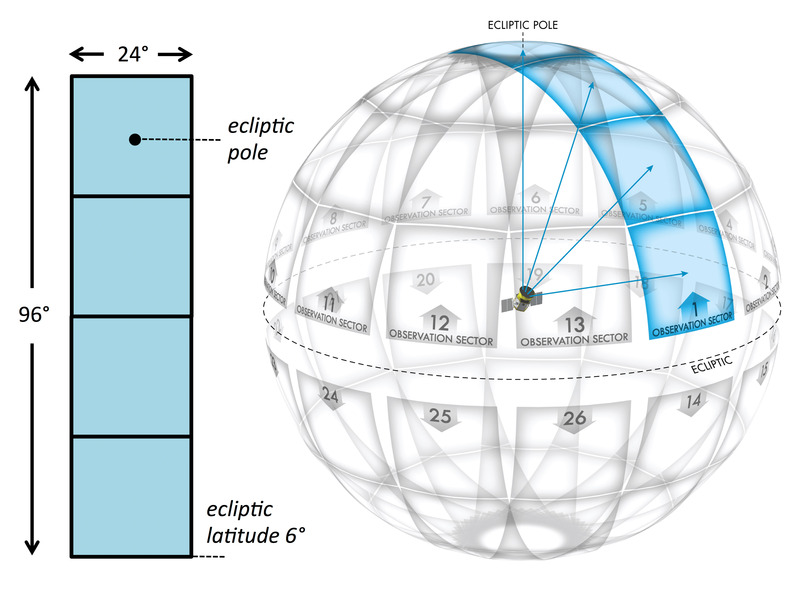 The four cameras are installed such that their 24 by 24-degree fields of view are combined to allow TESS to view a 24 by 96-degree sector of the sky in a staring-sensor concept that collects a continuous stream of two-minute exposures of up to 15,000 target stars plus full-sky images every thirty minutes. 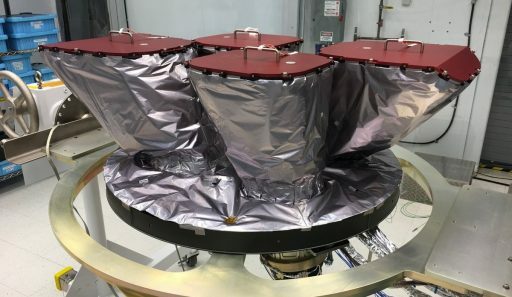 TESS will be programmed to stare at each 24 x 96° sector for two orbits (~27 days) before stepping east to the next sector – covering the southern hemisphere in the first year of the two-year primary mission before moving on to the northern hemisphere. Given its observation geometry, TESS will be able to cover 85% of the sky during its two-year surveying mission with some 200,000 target stars to be observed by the spacecraft. Kepler, while capable of detecting more distant exoplanets, can only observe a very small slice of the sky at any time and is therefore not suitable for a systematic survey. Additionally, TESS has been optimized through its optical design to observe stars 30 to 100 times brighter than those observed by Kepler, focusing on easy-to-study exoplanets in Earth’s astronomical neighborhood (up to distances of 300 light years) – covering G, K and M-type stars with optical magnitudes brighter than Mag 12. 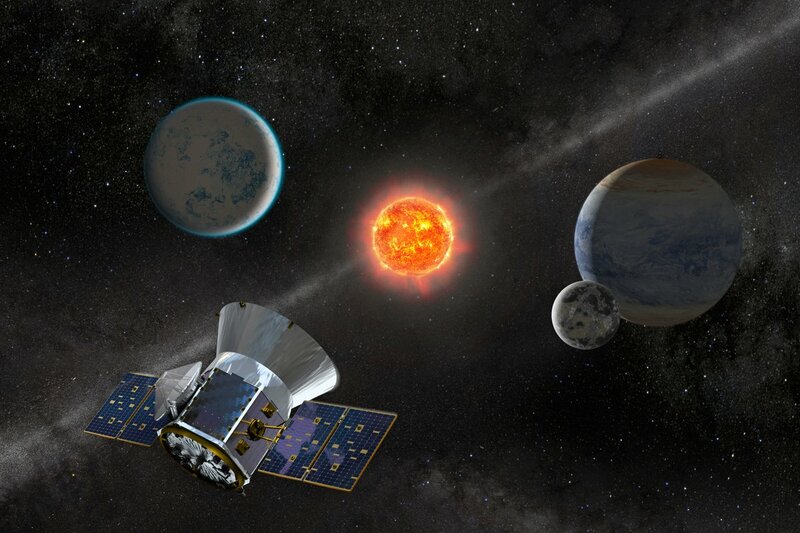 The ultimate goal for TESS is the creation of a large catalog of the nearest and brightest stars hosting exoplanets to keep the scientific community busy for years to come. Although TESS will capture a treasure trove of data via its two-year primary mission, the spacecraft has been designed to last up to 20 years and the specialized orbit has also been simulated to be sufficiently stable for that period of time. However long TESS may last, its scientific legacy is likely one for the ages as the exoplanets it’ll discover will be prime observation candidates for decades, if not centuries to come. But all currently hinges on SpaceX’s Falcon 9 as an on-target delivery will be paramount for TESS reaching its observation location and beginning its mission of discovery.